The latest BP Podcast is up. You can listen on Libsyn, iTunes and Stitcher. Probably the easiest way to keep up the podcast since we don’t have a regular schedule is to subscribe at one of the links above. You can also support the podcast as a patron (the primary benefit now is that you get the podcasts considerably earlier than everyone else). Show-notes after the jump! I spoke to Mohit Kapoor who is a Numismatist. He is a very patient and excellent speaker; I really enjoyed speaking with him and I hope we can do another podcast soon in the future. (1.) History of coinage in India. (2.) The Earliest Coins to be found in India. The Roman Trade. (4.) Centralised authority in India and why is it important to consider that question for Coinage. (5.) The Iranian influences on Indian Coins. (6.) Inferring the Wealth of a society from Coinage. (7.) The Importance of Coinage to Kingship in medieval India. (8.) The Mughal-English overlap was particularly fascinating in the last third of the podcast. It demonstrates the intricacies of what Indian principalities were at the time and how the Brits had to “tip-toe” their way in India. As an aside this is why I found that Coloniser’s remarks since this podcast essentially disproves the offensive idea of England “inventing India” as ahistorical. (9.) We then discussed coins from a more technical perpsective; the most beautiful and prolific coins. Mohit was excellent and I felt privileged to be listen and learn from someone so knowledgeable about our history. Very good, next time around if you have Mohit just ask him about the missing Gupta Emperor Ramagupta and how he was literally discovered only from his coins. Its a fascinating story all together. P.S : There is a persian connection to it as well. Enjoyed this a lot as I’m a collector myself, but not a word on the Indo-Greeks? It was them, not the Kushans, who introduced portrait coins in India. And there was no such thing as Maurya janapada, the Mauryas were a dynasty who initially ruled from Magadh. 1. 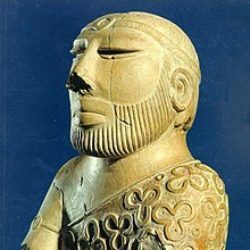 The Mauryan Empire was not around 100-50 BCE, but from 322 BCE to around 180 BCE. 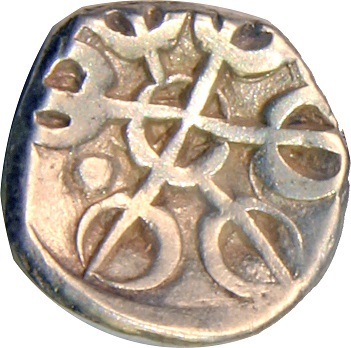 The earliest coins in India – the bent bar coins – were indeed associated with earlier Gandhara janapada (c. 6th century BCE) as stated in the podcast, but they likely continued into the Mauryan period. They were probably issued first after the conquest of Gandhara by Darius around 520 BCE. As such, they are part of the first wave of coinage in the world, which seems to have begun in Lydia on the Anatolian peninsula (modern Turkey) around 650 BCE, moved through the Achaemenid Empire, and thence to India with the conquest. The design, however, probably harks back to some pre-existing Gandhara motif – both in form and the punchmarks. These were followed by the punchmarked silver coins associated with the Mauryans and the other janapadas, as discussed in the podcast. 3. While it is true that the Mughals were more particular about naming the emperors on their coins, the practice of doing so long predates them in India. Indo-Greek coins, for example, all named the Basileos (king). The first use of this on Muslim-Indian coins is in the coinage of the Arab governors of Sind and Multan (8th – 10th century CE), who are typically named on their very tiny silver coins. The coins of Mahmud Ghaznavi also named him (in both Arabic and Nagari script). Interestingly, they also named the Abbasid Caliph in Baghdad (Al-Qadir). The coins of his successors and those of the Delhi Sultans all typically named the Emperor often in elaborate ways. This practice was continued by the Mughals. 4. The script used on the coins of the Arab Muslim rulers of Sind and Multan in the 8th-10th century was Kufic Arabic (they also used Nagari). Thereafter, the coins used various Arabic scripts that can broadly be termed Naskh, but not Kufic. This simply followed the custom in the rest of the Muslim world. These rulers all spoke Turkish or Persian, not Arabic, and were not Arabs themselves. This continued through the reigns of Babar and Humayun. On his return from exile in Iran, Humayun brought Persian fashion with him to India, as well as a large contingent of poets, artists, and craftsmen. This gradually resulted in the adoption of the Nastaliq script on Indian coins, as was already the case with Safavid coins in Iran. This appears first in Akbar’s time, and became pretty standard in Jahangir’s reign, though we still see some Naskh on Shahjehan’s coins. A couple of points about the broader historical comments made in the discussion. a. Of the Muslim (and even the non-Muslim) dynasties that ruled Northern India, the Mughals were probably among the least oppressive – though they were still extremely oppressive by modern standards. The wholesale slaughter perpetrated by Balban, Khilji and Tughlaq was far worse. On the other hand, the Muslim kingdoms of the South were less oppressive than the Mughals. b. It is not that surprising that the Marathas continued to acknowledge the Mughal Emperor on their coins. The way people thought of emperors and their right to rule was very different then. It was possible for people to fight for autonomy without wanting to overthrow the emperor. And it is worth remembering that even in 1857, when the Mughals had lost all power, the only rightful ruler that everyone, including the Marathas, could agree on was Bahadur Shah, even though he was extremely reluctant to accept this role. We see a similar situation in the Muslim world, where extremely powerful rulers like Mahmud Ghaznavi still nominally acknowledged the weak Caliph of Baghdad as the rightful leader of the community. a) reference to maurya-s (< vRddhi of Pkt. maūra, peacock) as a janapada. That is not true. Mauryans arose out of the magadha janapada, but certainly held territory all across the sub-continent, including deep inside Afghanistan (arachosia / harahvaiti). b) reference to gandhAra being in modern-day Afghanistan. While the region never had very clearly defined boundaries, it coincides with the IA speaking regions to the immediate SW of the Himalayas along the upper riparian of the Kabul, Jehlum etc tributaries of the Indus. So, most of gandhAra is in modern day Pakistan. Gandhara at many times ruled much of modern Pakistan. At times it also included Mazar e Sharif and Kunduz. Albeit at times I wonder if the Kambojas ruled these areas too? The Kambojas might have ruled modern Turin (Uzbekistan, Turkmenistan, Tajikistan, eastern Iran). There are also suggestions that the Sakas (which might include modern Iranian Sistan) were tributaries of or allied with the Kambojas. Gandhara had many Afghan rivers and included Kandahar, Kabul, Jalalabad. Or most of modern Afghanistan too. Peacock – what an interesting connotation. I immediately googled to see if they were Persian but of course it’s the other way round.. 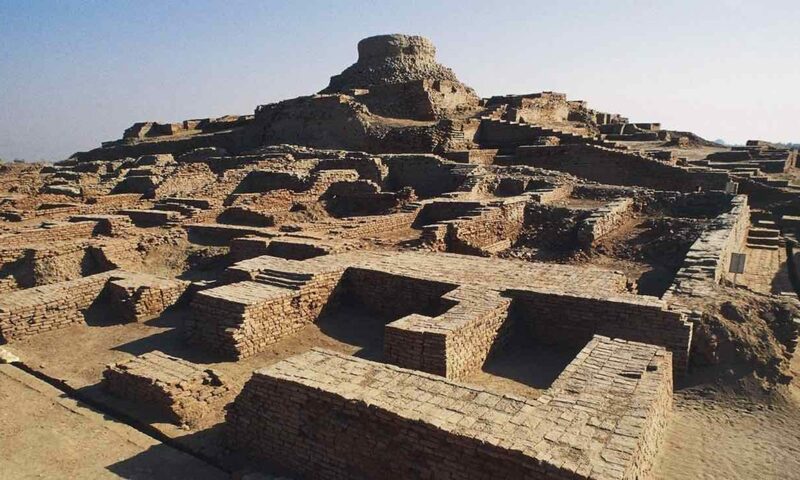 I also thought Gandhara was centred in Taxila (it’s industry is built on imitating Buddha artefacts) but I didn’t want to raise the P-word too much.. There is a good reason why the Peacock is the national bird of India 🙂 The mayUra is native to the Indian subcontinent and no where else. An old symbol of Indian royalty and a common metaphor of beauty and grace in Sanskrit literature – a tradition that continues to modern-day Punjabi pop! The mayUra is native to the Indian subcontinent and no where else. Native to Sri Lanka too. Records to indicate that it was eaten until the recent past. A a kid never recall seeing peacocks in the wild. Now they are everywhere in the Dry Zone (3/4ths of SL) and a pest. About 10 wander thru my backyard everyday eating destroying veggi and flower plants. b) Reluctance to eat/kill with increasing influence of Hindu gods. Considered the vehicle of God Skanda/Kataragama. Wonderful comment – I imagine we’ll need you back on a podcast soon enough. I’m planning to do one on Islamicate Culture of the East.. It could be said that this means that history is more complicated than we think. But a lot of Hindus would differ. The basic problem is that why does Hindu well being lie at the mercy of Islamic prerogatives and interpretations ? Whether Sunnis think of Ismailis as heretical would have been of as little relevance to the Hindus of that time, as it is today. The very concept of heresy rarely comes up amongst Hindus. I seriously doubt that a Hindu king at any time would start destroying religious places of other religions simply because another king thought it was heresy to not do so. Not that many Hindu kings could go around telling other ones that they are committing heresy or anything like that.